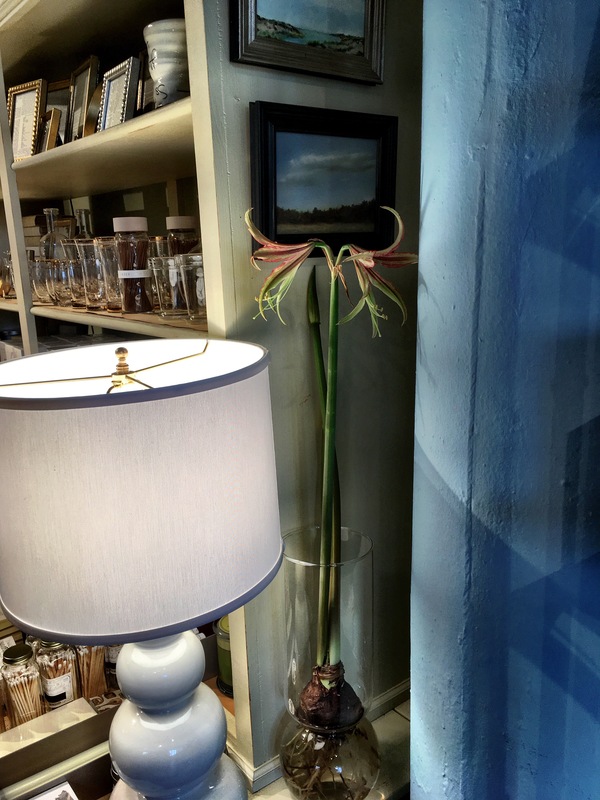 Flower Friday brings us this stunning Amaryllis La Paz. It is always such a treat to sort through the bin at City People’s deciding which bulbs get to come back to the shop to delight us for the season. This one is so delicate and has a sort of orchid vibe to it. I have enjoyed a potted version before, but had never tried forcing a bulb in this variety. It opened the other day to all our delight. The whole process of watching it grow over this last month is truly a gift. Of course I am as enamored with the roots too–so beautiful they are swirling around in the water. 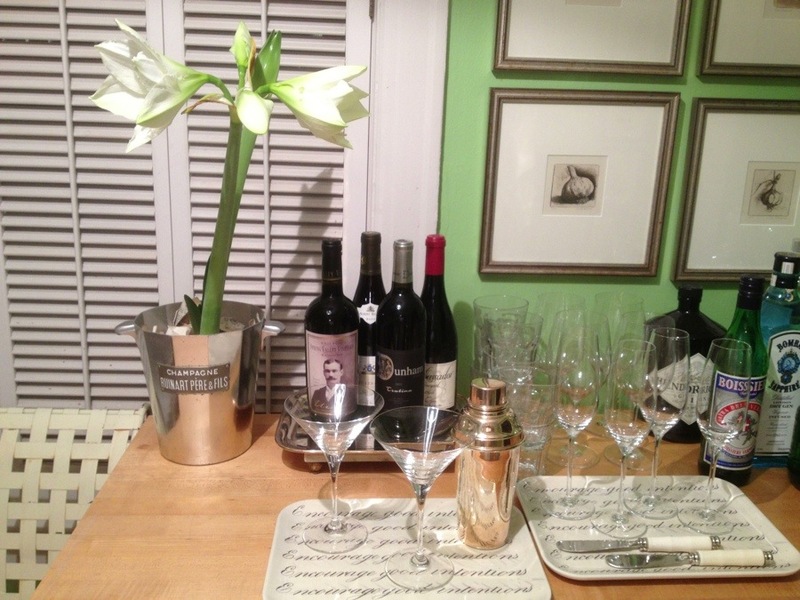 Cheers to amaryllis in all forms & stages! 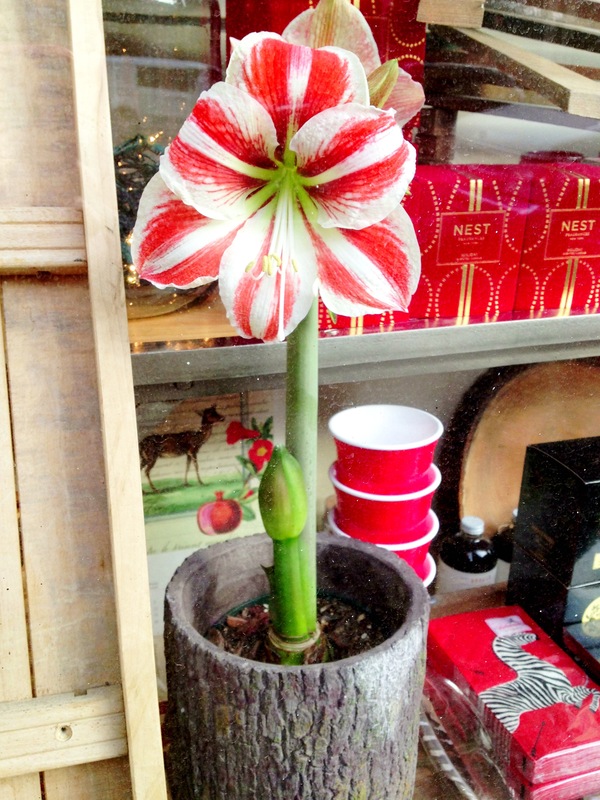 When I first spotted this amaryllis, it had not yet bloomed, but the image on the tag had the flowers reminding me of a striped candy cane. I thought it was perfect for the season and for Flower Friday. When it did bloom, I could not have been happier. Hope your day is grand! 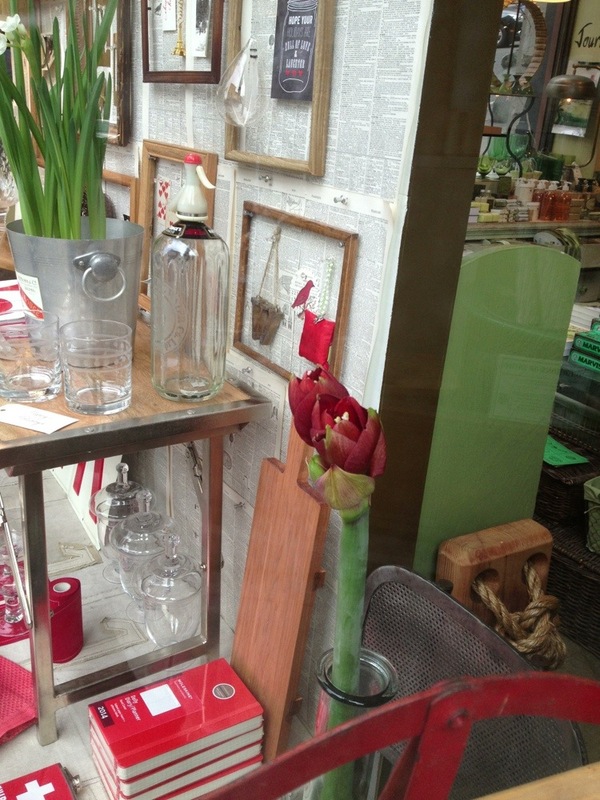 I had mentioned the other day that each of the shop big windows had an amaryllis in the display of goods. 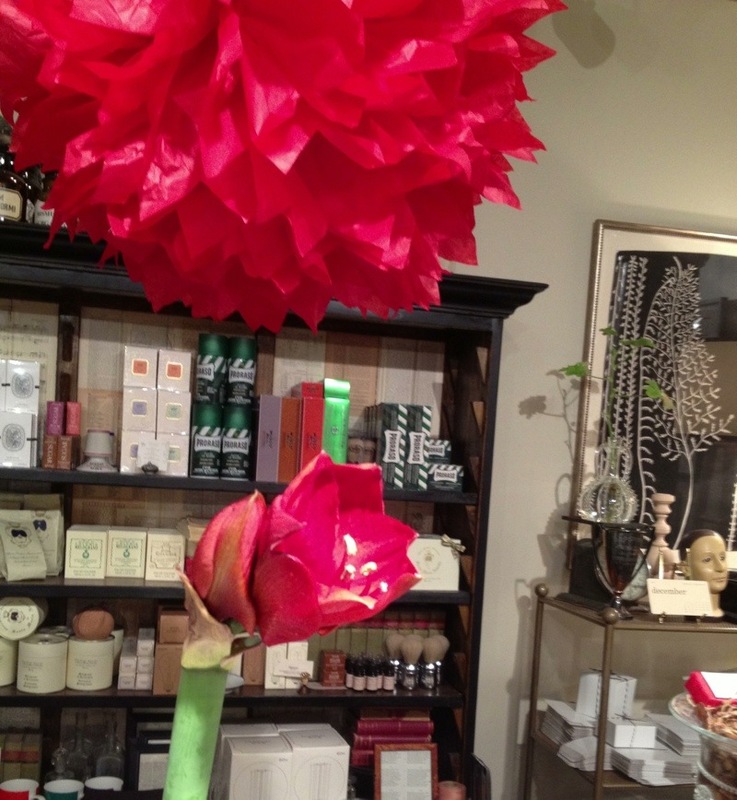 Flowers and plants add such a lively touch amongst the assortment of shop things. 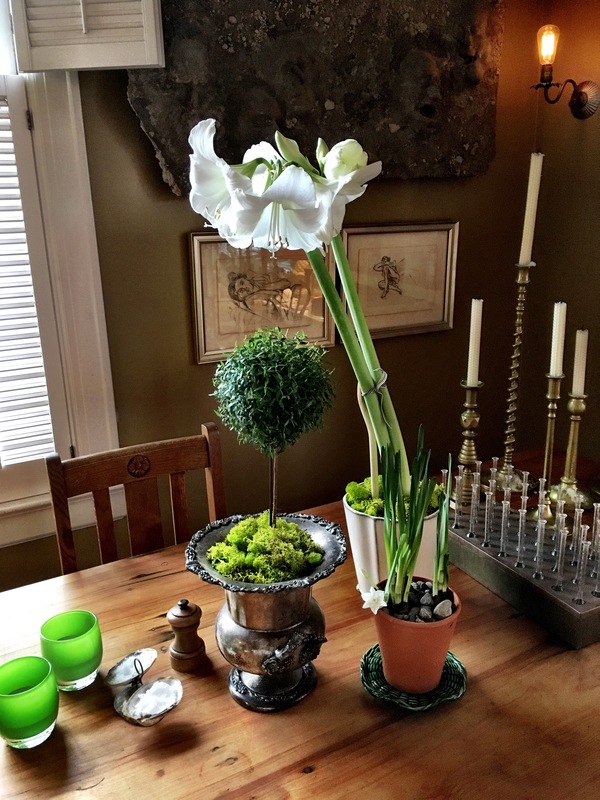 I had found these cool faux bois planters in New York and thought they would be perfect to house the paperwhites and amaryllis this season. The above popped open with festive glee yesterday and I just had to share. 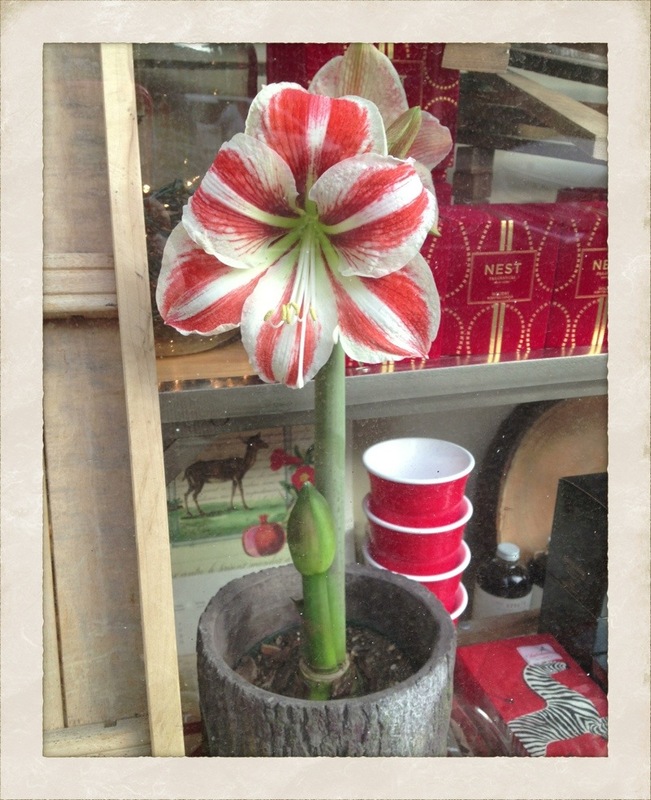 Watching an amaryllis from early stalk to full bloom is really quite something. The flowers on this beauty almost look like the red is painted on with water colors, each stroke visible. Ahhhhhhh. 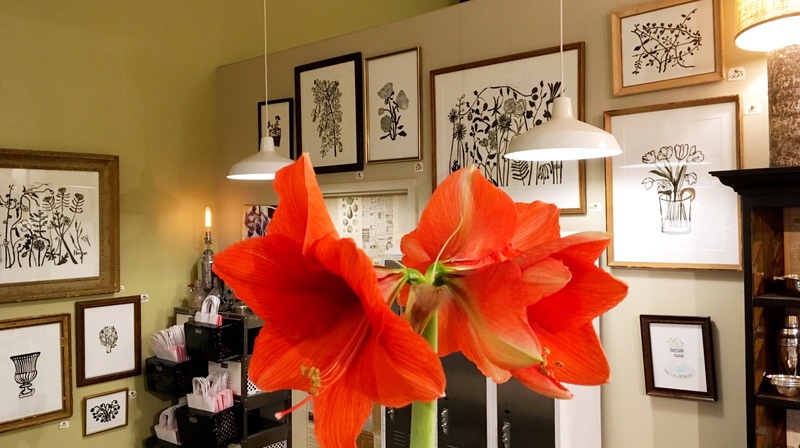 Now is the time you will start seeing a profusion of potted amaryllis at flower shops, grocery stores, and other spots that sell flowers and garden supplies. They have some serious bang for the buck, as the process from stalk to bloom is a pretty magical process to witness–and once it does, man oh man, are they a sight to behold. Just find a receptacle of your liking to drop the plastic pot into. Here I put one in a vintage brass bucket that was a gift from our friend Peg and then scattered the top with pages from an old book to cover up the exposed dirt. 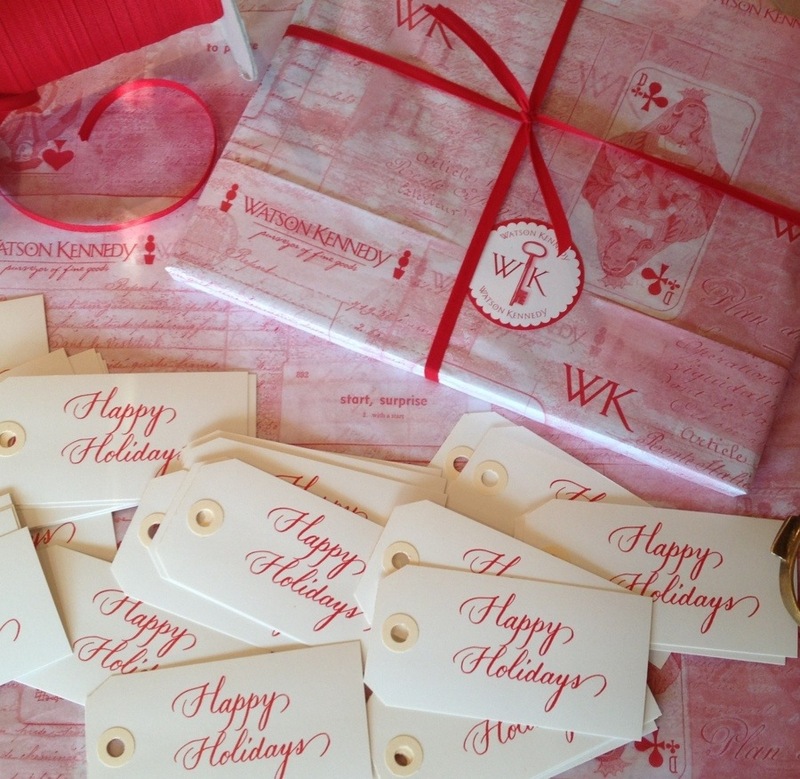 If you can get your hands on one, enjoy the heck out of it. They are such extraordinarily beautiful flowers. What happy flowers. 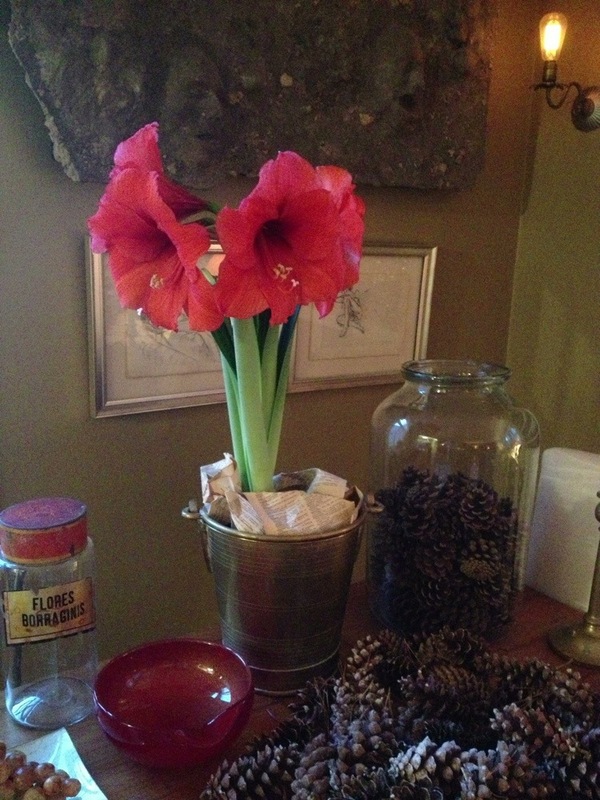 While paperwhites so speak of the season, amaryllis do, as well. Not so much speak it, but shout it. The blooms just seem to sing out that the Holidays are in full swing. 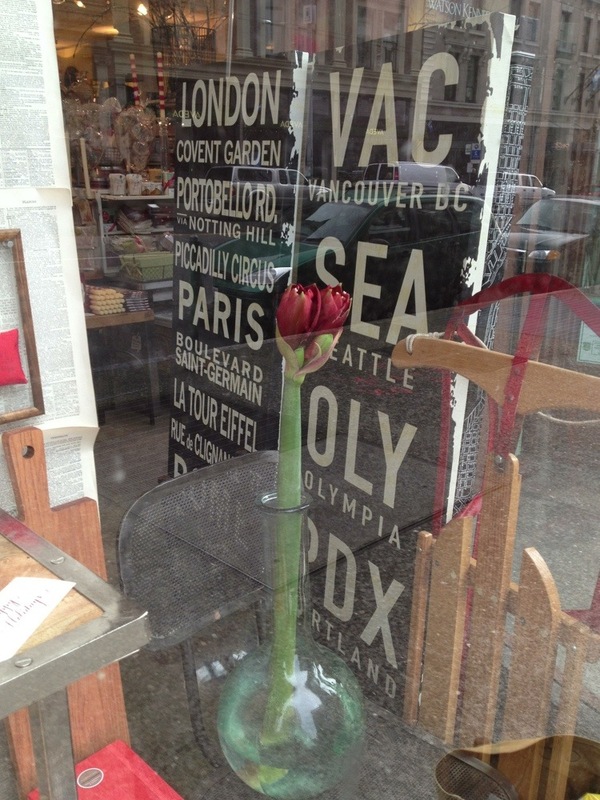 Actually, make that full bloom. 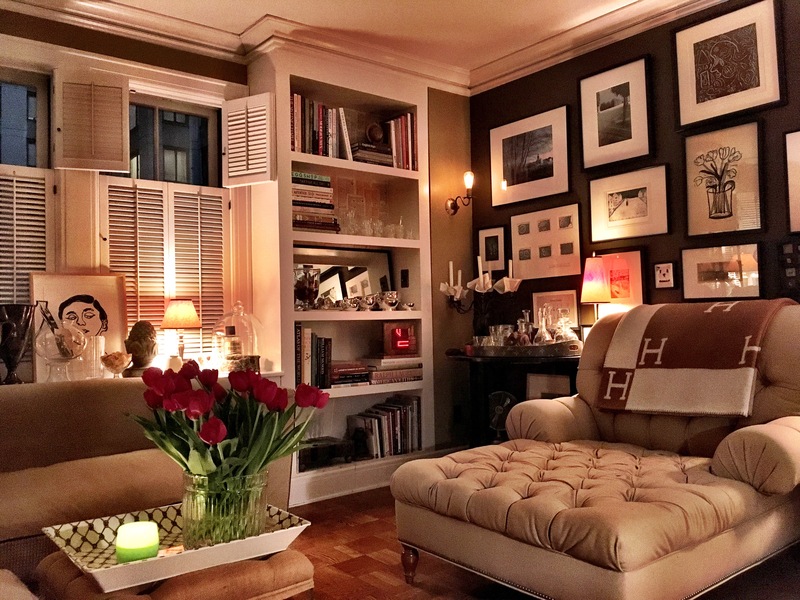 Whether in pots as a plant, or single stemmed in a vase, they just brighten up any space they inhabit. The blooms looking so interesting when they are tight and balled up. 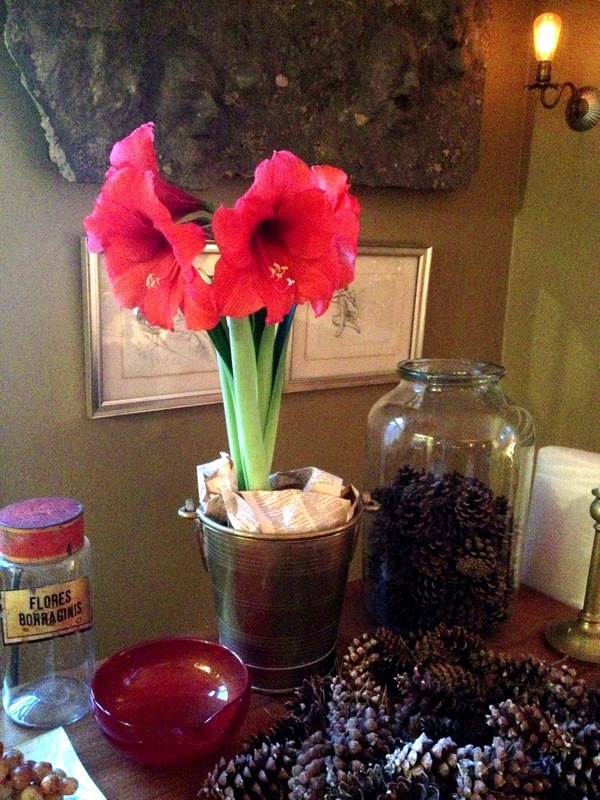 Then just exploding into the beauty that is the amaryllis.